Please explore Geneva Music Festival’s history of growth, community service and artistic excellence! In 2018 , attendance reached a record of more than 1,280 people in Geneva, Canandaigua, Auburn and Skaneateles, with several full-capacity crowds in the Gearan Center for the Performing Arts’ Froelich Hall. Over the course of three weeks, we presented 14 concerts from a variety of musical genres including Classical, Blues and Jazz, and music and poetry shared the stage at several events. We also continued our theme-week format with “Music, Poetry, and Perspectives: A Celebration of African American Culture,” which enabled us to introduce poet Mwatabu Okantah, exceptional pianist Michelle Cann, Broadway and television star Syndee Winters, and percussionist T.S. Monk. The acclaimed young violinist and pianist return to open the Festival, featuring works from the turn of the 19th century. Hear the last expressive gasps of romanticism in Chausson's Poeme and Faure's Violin Sonata as well as the influence that WWI had on music in works by Schulhoff and Britten. Cavani String Quartet members Si-Yan Lei and Eric Wong, with Jinjoo Cho, Geoffrey Herd, and Max Geissler explore the diverse and expressive styles from the turn of the 20th century featuring Fauré’s Quartet No. 1 in c minor and Schoenberg’s poetic masterpiece, Verklarte Nacht. Children 18 years and younger are welcome to attend the concert for free. The Quartet-in-Residence at the Cleveland Institute of Music, the Cavani Quartet (Annie Fullard, Mari Sato, Eric Wong, Si-Yan Li) has been described by the Washington Post as “completely engrossing, powerful and elegant.” Their impressive 30-year career has garnered many significant awards and honors and they have commissioned, premiered and performed the music of more than 30 living composers. With poet Mwatabu Okantah, they'll present a program of spoken poetry woven in and around music, a variation on their “Collage: Music and Poetry” project. Children 18 years and younger are welcome to attend the concert for free. The exceptional pianist Michelle Cann makes her GMF debut, performing with Eliot Heaton, Geoffrey Herd, Shawn Moore, Colin Brookes and Max Geissler. The program features Dvorak’s “American” String Quartet as well as David Baker’s piano trio Roots II and other works inspired by African American music. Children 18 years and younger are welcome to attend the concert for free. Audiences are transported back in time with Broadway star Syndee Winters (Hamilton, The Lion King, Pippin) in her one-woman show. “LENA: A Moment with a Lady,” uses powerful vocals and a rich story line to share the most pivotal moments in Lena Horne’s life. In the 1940s and '50s, Ms. Horne topped the charts with hit songs like "Stormy Weather" and "The Lady Is a Tramp," and starred in numerous films. Recognized as an influential African-American pioneer in entertainment, she broke new ground when she signed with MGM studios and became one of the first artists to break the color line. Accompanied by a jazz quintet, Syndee will perform many of Lena’s most popular tunes in her telling of this wonderful artist and civil rights leader’s story. Children 18 years and younger are welcome to attend the concert for free. Come be a part of this Thelonious Monk centennial celebration. TS, his son and international jazz sensation, leads a riveting night of jazz from the drum set. Syndee Winters makes a special appearance to open the show; Geneva's MLK Choir will also make a guest appearance. Sponsored by Lyons National Bank. Children 18 years and younger are welcome to attend the concert for free. See TS perform on video. Raymond Nagem, associate music director at the Cathedral of St. John the Divine in NYC, performs great works by Bach, Mozart and others and showcases the organ of Westminster Presbyterian Church in Auburn. Children 18 years and younger are welcome to attend the concert for free. One of the world’s leading viola soloists plus GMF founding musicians Hannah Collins and Geoffrey Herd, and friends, violinist Shawn Moore and pianist Esther Park, perform treasured chamber works including Bartok Piano Quintet in C Major and Haydn String Quartet in D Major Op. 1 no. 3. Children ages 18 and younger are welcome to attend the concert free of charge. Don’t miss this Father’s Day show of footstompin’ fiddlin’ fun! Food also will be available for purchase at the event. Children 18 years and younger are welcome to attend the concert for free. The 2017 Season of the Geneva Music Festival had a record 1,150 people in attendance at a total of 14 concerts. 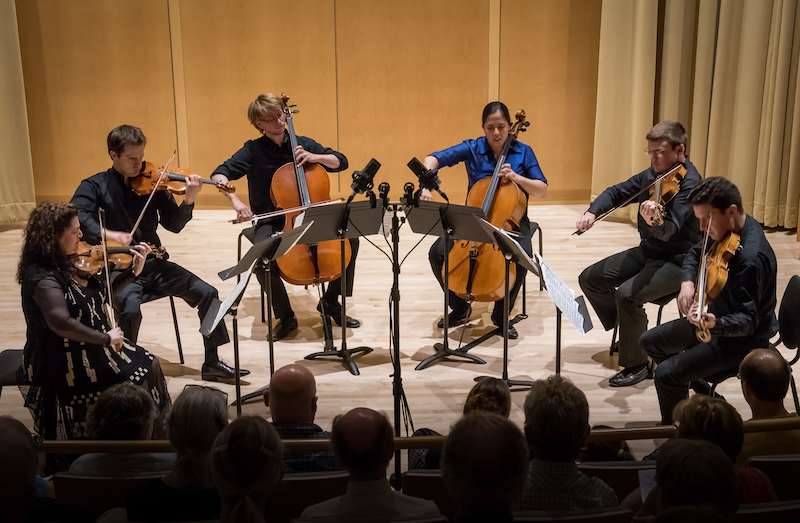 From stages and concert halls around the world, The Cavani Quartet, Jinjoo Cho, Ani Kavafian, Clive Greensmth, Hannah Collins, Michael Compitello and Eliot Heaton led performances from a wide range of musical genres, including chamber, classical and bluegrass. Raymond Nagem, associate music director at the Cathedral of St. John the Divine in NYC, showcased the majestic organs of Presbyterian Church in Geneva, United Church of Canandaigua, and Auburn’s Westminster Presbyterian Church. One of the highlights of this season was a two-concert celebration of jazz, with La Voz De Tres and The Thomas Bergeron Quartet. Multi-instrumentalist Paul McCandless was a special guest for both concerts. The 2017 season was made possible by private and corporate funds, as well as public funds from NYSCA’s Decentralization Program, administered locally by Finger Lakes Community Arts Grants (FLCAG) and CNY Arts, Rochester Community Foundation, Wyckoff Family Foundation, Geneva Rotary, the City of Geneva, Williams Family Foundation, Sands Foundation, Delavan Foundation and the Spring Hill Fund. As the season came to a close, GMF announced the receipt of an Art Works grant from the National Endowment for the Arts (NEA). GMF artists capture the spirit of Latin America with an evening of chamber music featuring fiery works of the greatest Latin and Spanish composers. Get your dance shoes out of the closet! Come learn from some of the best Latin dance professionals in the country! Workshops for beginners to advanced dancers featuring salsa and bachata! Argentinean bandoneonist JP Jofre infuses this concert with the spark of syncopated Latin rhythms and his innovative nuevo tango style. Guitarist Kenneth Meyer and award winning pianist Cahill Smith and other GMF artists will join him for an unforgettable night of new and old Tango masterworks. Violinist Laurie Smukler teams with GMF musicians for an evening of exceptional music making. The Thomas Bergeron Quartet will be joined by a string quartet of GMF artists-in-residence to bring love and romance to the Festival with a jazz-chamber fusion from Bergeron’s latest album. Held at the beautiful Geneva on the Lake resort, the concert will include new jazz interpretations of the music of Rachmaninoff, Liszt, Takemitsu and Scriabin, in addition to some original compositions and jazz standards. Multi-instrumentalist Paul McCandless is special guest. Drinks and hors d'oeuvres available on the terrace at 3:30 p.m., concert begins at 4 pm. TICKETS ARE SOLD OUT. This Father’s Day concert is sure to please! Violinist Eliot Heaton joins local artists for an afternoon of high-octane fiddling and bluegrass at Ravines Winery! A Father’s Day BBQ with all the trimmings will be available for purchase at the Ravinous Kitchen from noon to 5 p.m. Admission to the event is free. Our 2016 season was spectacular, with unprecedented variety and excellence. Thirteen diverse and exciting concerts were performed by many returning festival favorites and several new faces as well. Our new artists included violinist and Juilliard Professor Laurie Smukler as well as internationally acclaimed and award winning baritone, Dashon Burton. A central element to the GMF 2016 was our Latino Cultural Celebration which featured both Hispanic music and dance elements. 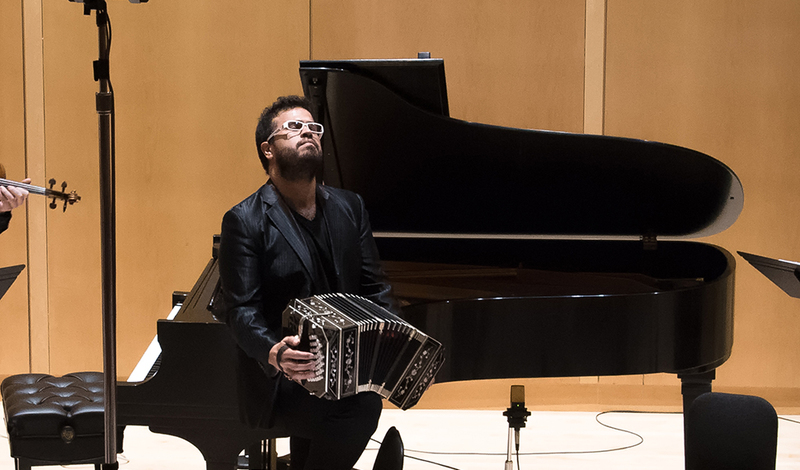 In addition to traditional chamber music which highlighted some Hispanic composers, audience-favorite bandoneonist JP Jofre returned once more for a concert of Tangos and Latin fusion. Amaya Dance company was in residence, offering a Latin dance workshop as well as performances. The 2015 season was our 5th Anniversary and was truly an exceptional celebration of the Arts and music in the Finger Lakes. It was another year of growth in many realms. Skaneateles was added to the list of concert venues in addition to Geneva, Canan daigua and Auburn giving audiences across the Finger Lakes Region easy access to world class performances. Music lovers of all varieties were treated to outstanding Chamber Music, adventurous New Music, and two new genre of music, Jazz and Bluegrass. Violinist Ani Kavafian, cellist Clive Greensmith and jazz trumpeter Thomas Bergeron were among the many talented artists on the 2015 roster. Thanks to a generous donation of time and effort by the Nixon Peabody Law firm, the GMF became designated as a 501c 3 non-profit organization which allowed the Festival to apply for new sources of funding. A generous grant from the Wyckoff Family Foundation enabled an expansion of outreach to children and the public schools. Free concerts were given for students at Geneva High School, North Street Elementary, Auburn Senior High School, the St. Peter’s Community Arts Academy and the Geneva Community Center. In 2014, the Festival became well established as a regional Festival with eight concerts across Geneva, Canandaigua and Auburn. In addition to performing at Hobart and William Smith Colleges, GMF offered concerts in churches and wineries. Musical diversity was key with the addition of Argentinean bandoneonist JP Jofre who delighted audience members with a Tango Nuevo concert at Ravines winery. New Music Ensemble Vicennium Void gave Festival patrons their first taste of contemporary music while they sipped fine wine at Billsboro winery. Clive Greensmith entertained concert goers in Auburn with a cello recital and Zahari Metchkov offered a majestic organ recital. The Geneva Community Projects acted as GMF’s fiscal sponsor which allowed the Festival to receive funding from Finger Lakes Community Arts Grants and accept tax deductible donations from businesses and individuals. These activities along with collaboration and support from other Arts organizations including the Smith Center for the Performing Arts helped to strengthen GMF’s community presence, allowing it to quickly become an important and well supported community organization. 2013 was a break out year for the Festival as it expanded its reach both to the west in Canandaigua and to the east in Auburn, NY. The beautiful Willard Memorial Chapel, with it’s stunning Tiffany windows and fine acoustics became the Festival’s second home. In addition, GMF continued to expand its roster of world class artists and included violinist Ani Kavafian a senior artist with of the Lincoln Center Chamber Music Society. With the help of Geneva Community Projects as our fiscal sponsor, the Festival was able to begin to explore grant opportunities and other avenues for support. The Arts and Cultural Council of Rochester helped Festival organizers learn about promotional activities and arranged legal counsel for the Festival to become a non-profit organization. With exceptional artistic excellence and ever increasing efforts to reach a broad range of audiences along with collaboration with other Arts organizations, the Festival cemented itself as an important region-wide organization. In 2012 GMF expanded to three concerts over two weekends, included many talented new artists from the national and international stage, and grew from a local to a regional Festival offering concerts both in Geneva and Canandaigua. Among the new artists performing were violists Eric Wong and Colin Brookes, cellist Andrew Hayhurst and bassist Gregory Robbins. Musical highlights of the season included the Brahms and Shostakovich Piano Quintets. Generous support was provided by Nozomi Williams, who played an integral role in helping the Festival become established in the cultural community of the Finger Lakes. The Geneva Music Festival was founded in 2011 by violinist and Geneva native Geoffrey Herd in effort to give back to his hometown. Herd gathered a group of talented musicians which included Geneva natives violinist Eliot Heaton and Cellist Hannah Collins to perform a weekend long festival which included concerts at HWS colleges as well as an education program in the Geneva City School District.